The area of land in South Harbour Road. 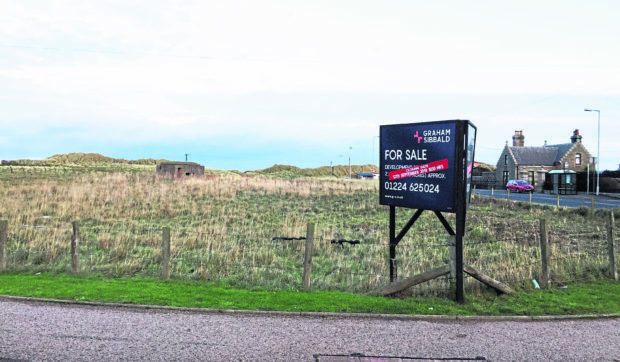 A Fraserburgh development site is to be sold after the council agreed a deal with a fishing firm. The five-acre plot on South Harbour Road was once earmarked for a major development that included a multi-million-pound hotel and shopping complex. Planning permission for the scheme was granted in 2013, but subsequently lapsed. Now members of Aberdeenshire Council’s business services committee have given permission for the land to be sold to George West Limited. The move was endorsed after councilors sought assurances on the St Fergus-based company’s readiness to begin developing the area into a business and retail site. A report said it would provide a jobs boost, encourage more people to visit Fraserburgh and prevent the loss of shoppers to other areas. But the future of a Peterhead facility remains uncertain after councillors refused to sell the town’s Glenugie Business Centre on Windmill Road. A report is being drawn up on the options for the site with demolition and site clearing, partial demolition and sale, or the use of the space for affordable housing and car parking being considered. Committee chairman and council leader Jim Gifford welcomed the progress on both fronts. He said: “We were able to show how important it is that we get value for every public pound in the way we manage our wider estate. “Both of these reports demonstrate a willingness from officers and elected members to scrutinise every spend, and to be sure these are fair. “It also shows we are not afraid to overturn a decision which might not be in the interest of the public purse.